This dish is all about simplicity and good ingredients. Buy as much of it as you can from local producers at farmers markets, and with things like cheese, meat and olive oil, simply buy the best you can afford. You can find pearl barley at most good gourmet grocers and health food stores. -In a pot, place the pearl barley, water and a pinch of salt. Bring to the boil and simmer for around 30 minutes. The water should be absorbed almost completely, barley should become soft but chewy. -Meanwhile, slice the tomatoes into assorted shapes and sizes e.g., half the small ones, quarter the larger ones. Place in a bowl with a good glug of extra virgin olive oil , salt and pepper to taste. – when the barley is soft, strain through a sieve and toss around half through the already prepared tomato salad. 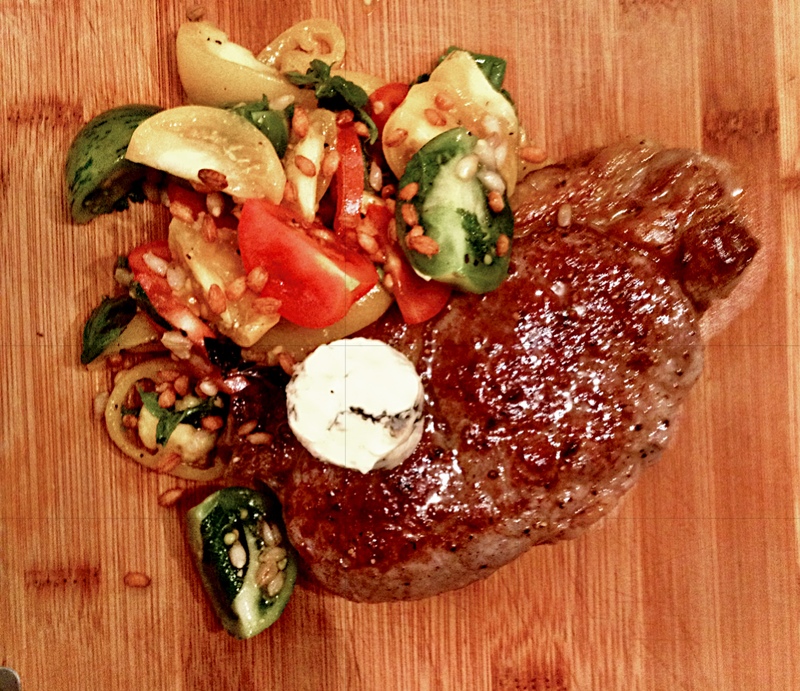 – when your steak is done, on a plate, place the steak, with a chunk of blue cheese on top. 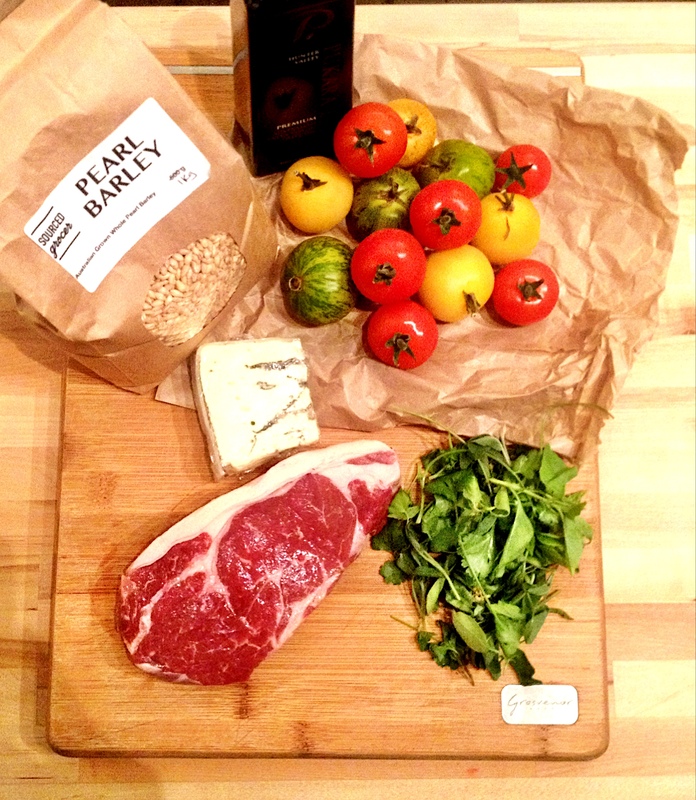 arrange the tomato and barley salad around the meat. Done!